The law recognizes an employer’s right to dismiss an employee for just cause when serious workplace misconduct occurs. Employers have a right to enforce rules that are reasonable to manage behaviour in a workplace, and to punish or release employees who break these rules. The questions which remain then are: do these rules also apply to off-duty conduct? What if the breach has to do with criminal charges? In other words, can off-duty misconduct amount to just case for dismissal? In the recent decision of Merritt v. Tigercat Industries, 2016 ONSC 1214, the Honourable Justice D.J. Gordon ruled that an employer was not justified in terminating an employee for cause who had been charged criminally with two counts of sexual assault against a minor. The plaintiff was granted with summary judgment in the action for wrongful dismissal, and was awarded damages amounting to ten months of reasonable notice. Keith Gordon Merritt (“Keith”) was 67 years old and was employed by Tigercat Industries Inc. (“Tigercat”) as a labourer, with other duties such as a truck driver and material handler. Tigercat has production facilities in many Ontario municipalities, including Paris and Cambridge. Keith was hired originally by Tigercat on April 13, 1998 and was fired on February 23, 2015, allegedly for cause. In February of 2015, Keith was arrested at Tigercat’s Paris Facility and was charged with two counts of sexual assault against minors. The following day, Tigercat met with Keith who declined to discuss the details of the charges. Keith advised that the alleged events did not occur in the workplace and did not involve any Tigercat employees. Keith was asked to resign, but he refused. By the end of the meeting, Keith agreed to take a two week leave of absence. Keith reported for work after his two week absence on February 23, 2015. He met with Tigercat and it assigned him to the Cambridge plant to fill a vacancy as a material handler. After Keith began his shift, a female employee raised concerns about working closely with him. The employee told Tigercat that Keith was a distant relative and she used to visit him with her family at his farm. The employee alleged that she stopped going to the farm because Keith continuously made inappropriate sexual comments and advances towards her. 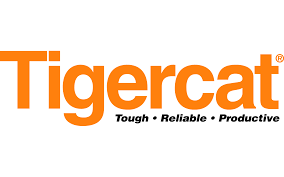 Tigercat met with Keith again and confronted him with its concerns regarding the female employee and his criminal charges. As before, Keith responded by asserting that no Tigercat employees were involved in the criminal charges. Tigercat proceeded to dismiss Keith for just cause, without further conducting any internal investigations. Keith commenced a wrongful dismissal action, and then brought a motion for summary judgment. The court found that criminal charges for off-duty conduct alone cannot constitute just cause for dismissal. For off-duty conduct to constitute just cause for dismissal, there has to be a justifiable connection between the misconduct and the employer or the nature of employment. 5. Keith’s conduct hindered Tigercat’s ability to properly carry out its function of efficiently managing its work and efficiently directing its work force. The court concluded that Tigercat mishandled the termination of Keith, and ultimately did not have just case for his termination. As a result, Keith was awarded ten months pay in lieu of notice. This decision exemplifies the importance for employers to conduct a proper and thorough investigation into allegations of employee misconduct before undertaking disciplinary action or dismissing the employee, particularly when the misconduct is committed outside of the workplace. Although the charges in this case were serious, charges are not the same as being convicted. An employee is presumed innocent until proven guilty, and has no obligation to disclose such matters to an employer when the charges are not related to their employment. An employer who chooses to terminate an employee for reasons related to misconduct that did not occur in relation to the employment may be liable for wrongful dismissal damages. If you have issues regarding your employment make sure to call an experienced Employment Lawyer today.